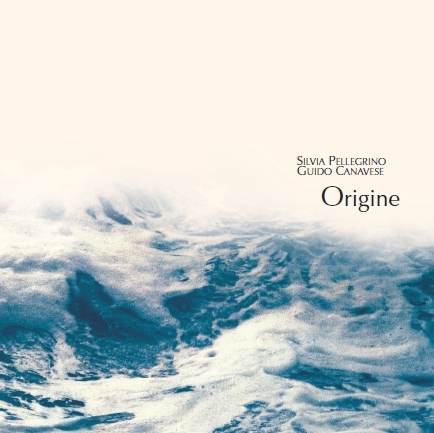 Silta records - PELLEGRINO - CANAVESE:"Origine"
“Origine” ('Origin') is the most recent project created by Silvia Myorin Pellegrino (bodyworker, singer, teacher, composer) and Guido Canavese (pianist, composer and arranger). It proposes new sounds in a sensitive lyrism of musical languages, mixed with the most ancient traditions well in balance between improvisation and melodic themes. The CD is also enclosed to the book “Sono il mio suono”, ('I am my sound'), by Silvia Myorin Pellegrino. This work is inspired to Zen tradition: a path open to free expression by a system of balancing body and voice, to re-harmonize energy and creativity using breath, voice and movement.